On Friday, March 16th, a self-proclaimed white supremacist launched an assault on two mosques in Christchurch, New Zealand, killing 50 people and wounding 50 others. It was the largest mass-shooting in the peaceful country's history. In an apparent manifesto, the shooter cited US President Donald Trump "as a symbol of renewed white identity and common purpose." When asked if he felt it was a sign of a larger global white nationalist threat, Trump said no, downplaying it as a "small group of people" who have serious problems. 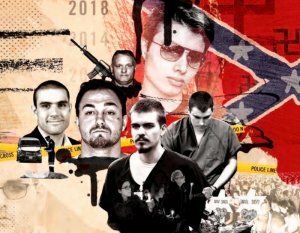 May of 2017, Trump's Department of Homeland Security and Federal Bureau of Investigation issued an intelligence bulletin that white supremacists groups had already carried out more attacks than any other domestic extremist group over the last 16 years and are likely to carry out more. August 12, 2017: At a "Unite the Right" white supremacist rally in Charlottesville, Virginia, violence resulted in the death of one counter-protestor and the injury of 30 others. Organizers included self-identified members of the alt-right, neo-Confederates, neo-fascists, white nationalists, neo-Nazis, Klansmen and various militias. In the aftermath of the tragedy, President Trump stated there were "very fine people on both sides" of the confrontation. According to the Southern Poverty Law Center, the number of hate groups in the United States rose to a high of 1,020 in 2018, up about 7% from 2017. White nationalist groups alone surged by nearly 50% last year, growing from 100 chapters in 2017 to 148 in 2018. 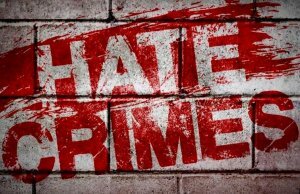 January 3, 2018: A Newport Beach man murders his former high school classmate, charged later as a hate-crime against the gay man. February 14, 2018: In a deadly rampage a shooter kills 17 at Marjory Stoneman Douglas High School in Parkland, Florida. The gunman, who had a Nazi symbol on his backpack, had repeatedly espoused racist, homophobic and anti-Semitic views and displayed an obsession with violence and guns. August 19, 2018: A gunman with a trail of alt-right online activity, fatally stabs a black man outside a Pittsburgh North Shore bar. October 24, 2018: Two black people are killed in a Kroger supermarket by a white man who first attempted to attack a Louisville-area black church, but couldn't get in. October 27, 2018: A gunman went on a anti-Semitic rampage at the Tree of Life synagogue in Pittsburgh, killing 11 and seriously wounding six others. The hate-fueled murder spree was the deadliest attack on the Jewish community in US history. October 29, 2018: A Florida man with an alt-right, racist history was charged with federal crimes after sending sixteen packages containing pipe bombs to several prominent critics of President Donald Trump. 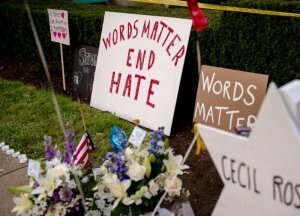 According to the Anti-Defamation League, 71% of extremism-linked deaths between 2008-2017 were committed by far-right attackers, accounting for 387 domestic deaths. In 2018, The overall death toll tied to the radical right rose to over 40 people, up from 17 in 2017. A February, 2019 YouGov poll, showed nearly seven in ten voters felt that racism was still a serious problem in the US, and over 50% felt it has become worse during President Trump's tenure. Words matter. So do votes. The 2016 Presidential personalities and politics have provided a wealth of material for the late night talk shows hosts. While we can still laugh, a sampling … have a good weekend! Join DemList and WNDC TONIGHT in celebrating a new era of leadership for the Democratic Party.